The foundation of an organization arguably starts at the top. It’s how the Golden State Warriors began their dynasty and in typical fashion, it’s how fellow NBA teams have started restructuring in order to topple the champions. 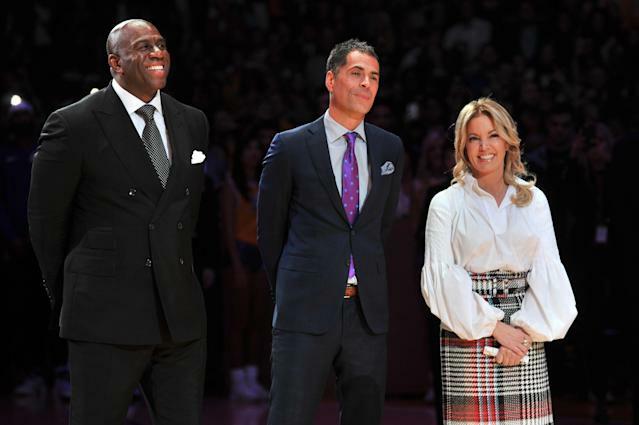 The Los Angeles Lakers have a chance to follow suit, hiring a strong front-office presence then bringing in a head coach, but don’t seem to be going that route. Less than 10 days ago, Magic Johnson shocked the sports world, and Lakers brass, by abruptly stepping down as the Lakers’ president of basketball operations. Days afterward, in the expected leadership shift, the Lakers “mutually agreed to part ways” with head coach Luke Walton after three years and a combined 98-148 record. Despite an opportunity to hire a president of basketball operations first, then go after a coach to work underneath second, the Lakers seem to be looking for a coach first. The move is shocking given how other teams have approached restructuring in recent years, but a relief to those thinking about doing the same now or not wanting to watch the Lakers build up too quickly with a smart front-office hire, a strong coach and one of the greatest players of all time, LeBron James. And many are opposed to the idea that giving general manager Rob Pelinka more power is a good idea. The dysfunctional Lakers, who also canned their athletic trainer after an injury fest of a season, and their decision to have Pelinka lead the coaching search shows they’re deciding not to begin anew. Multiple people have turned down a position with the Lakers so far, including Myers. The Warriors general manager laughed off the idea with lunch jokes over the weekend. He joined Miami Heat president Pat Riley, who put himself in the no column the day prior. He played for the Lakers, served as an assistant coach and won four NBA titles with the team during his nine-year head coaching tenure. Riley told The Athletic he’s “sure [the Lakers] will work it out” but he wants to finish his career in Miami. The Lakers will reportedly interview Philadelphia 76ers assistant Monty Williams, former Cleveland Cavaliers head coach Tyronn Lue and Miami Heat assistant Juwan Howard. The “buzz,” Stein reports, is that Williams has a better shot since some with the Lakers fear a Lue-LeBron pairing would cede the superstar too much control. Lue and James won one title together with the Cavaliers in three trips to the Finals. The 2016 championship was the franchise’s first. The Cavaliers fired Lue shortly into the 2018-2019 season, with James already in L.A.